On the island of Maui, the Hālau called Hula Alapa`i I Maluuluolele was founded by Sharon Ioana Bailey Balidoy under the umbrella of Ka `Imi Na`auao O Hawai`i Nei. 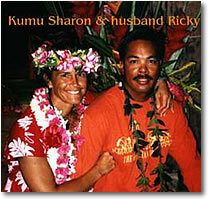 Kumu Sharon studied hula from an early age under her mother Roselle Keli`ihonipua Bailey. She says she doesn’t remember ever having to “learn” the hula – it was part of her life. 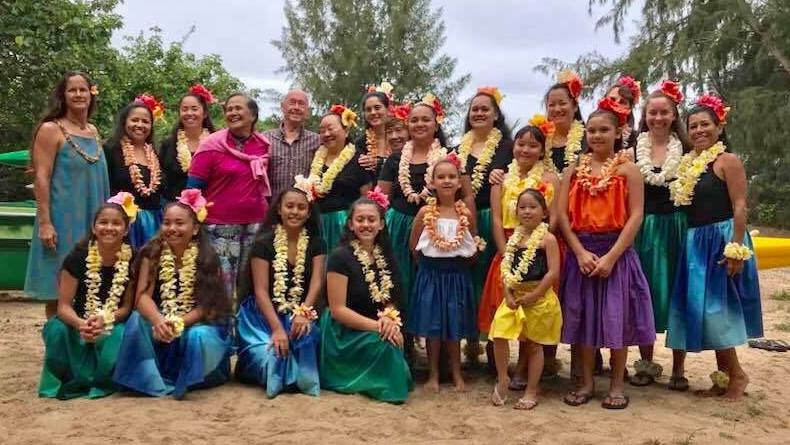 In 1979 Sharon and her sister Pohakalani started teaching on their own, first on the island of Hawai`i, then on `Oahu while working on their master degrees; Sharon in Social Work and Pohakalani in Education. Work took Sharon to Maui while Pohakalani stayed on `Oahu. Current schedule as listed and subject to change. Between work, hula and paddling kumu Sharon is usually not available for private lessons. However, you never know, so you can always email or text her. Lae`ula O Kai canoe club was founded in 1991. The small group of members worked hard over the years. Instead of the tiny trail to get to the beach we now have a cleared, open space with native/Polynesian plants thriving and a open air Halau Wa`a which we built. We will forever be culturally based, with the responsibility of `ohana, to take care of each other. Culture is our foundation, however when the competitive season rolls around, we don’t like to lose so we train hard to do our best while striving to keep aloha in our hearts and actions. Inspired by the traditions of our ancestors, the mission of Lae‘ula O Kai is to perpetuate the sport and culture of Hawaiian canoe paddling. In an atmosphere of respect and aloha, we strive to be Lae‘ula O Kai, well- trained and wise in the ways of the lowlands and seas. Lae`ula O Kai means “well trained experts of the seas and lowlands” it is our goal. Our colors are Red, Yellow & Green for the traditional Hawaiian feather colors used in our `ohana. Kanaha, behind the Kahului airport, 1st paved parking lot with bathrooms.